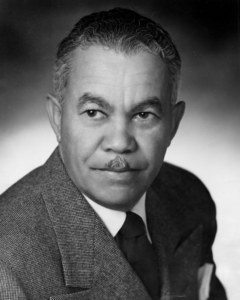 Paul Revere Williams, FAIA (February 18, 1894 – January 23, 1980), triumphed over racial stereotypes to become the most sought after architect among A-list celebs and the affluent in Los Angeles. While he was versed in many architectural styles his signature designs became synonymous with Hollywood glamour. He was one of the architects responsible for the luxurious and palatial two-story, single-family homes gracing the sidewalks of Hancock Park. He designed more than 2,000 residences and commercial structures throughout Southern California including the iconic LAX Theme Building. To read more about architecture in Los Angeles choose a topic below.